Young children did not go to school today. Employers did not open their stores. Families did not say goodbye to each other. These daily activities that I take for granted have become a distant memory for those affected by Typhoon Haiyan. The Philippine islands were hit by 24 typhoons in the past year, so it would stand to reason that they’re more than a little equipped to deal with these serious storms. 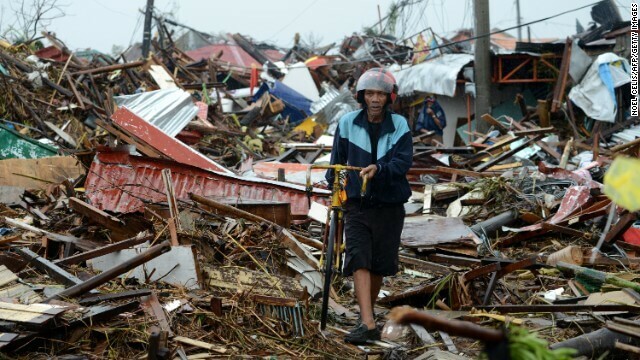 The Filipino people are used to dealing with these brutal tropical cyclones, but early last Friday, Typhoon Haiyan, the strongest Typhoon in recorded history, ransacked the islands. The typhoon was three and a half times more brutal and violent than Hurricane Katrina and big enough to span from Spain to Sweden. The howling 235 mph winds blew cities away, but massive walls of ocean water crushed them in their tracks. Debris skim the bottom of newly formed rivers of polluted water— where there were once city streets — harming and impairing citizens as they try to make their way through the muck. And it’s no better on drier land. Piles and piles of rubble continue to hold hundreds of people captive. The death toll? Still unknown. 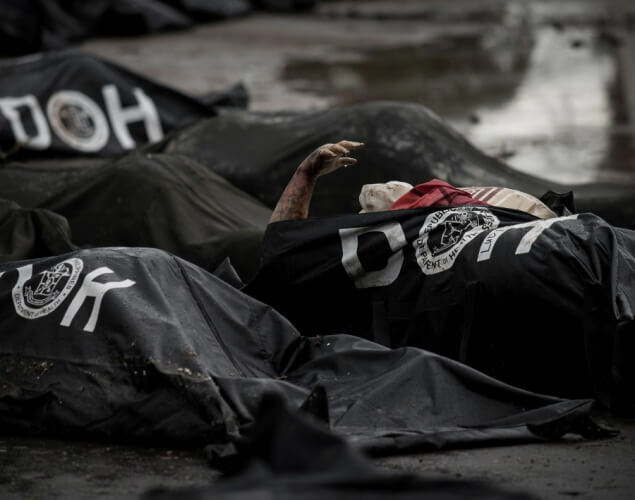 An estimated 10,000 people could be buried under the destruction. The unwelcome stench of decomposing bodies lingers in the once clean air, causing alarm over the possible spread of disease. Since airports are damaged and power outages had a domino effect across the islands, relief efforts are having difficulty providing aid. With nowhere to go and families forcibly torn apart, citizens have no choice but to wait for whatever aid can reach them. Other countries are doing their best to help survivors. 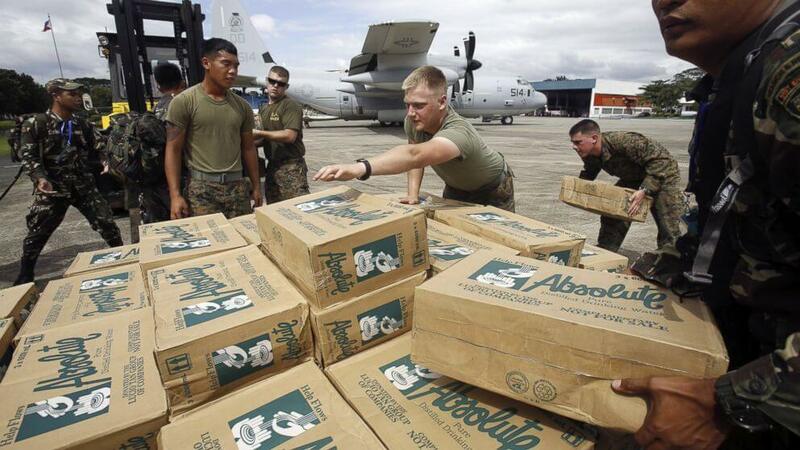 The U.S. has dedicated $20 million and an aircraft carrier to relief efforts. Britain is sending a warship and $16 million. The Vatican vowed to $4 million, Japan $10 million and New Zealand $1.7 million. 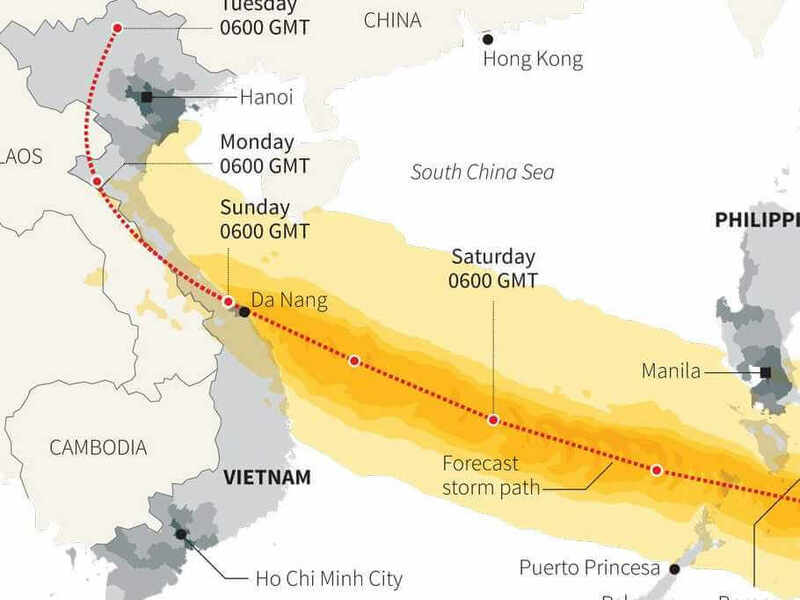 This horrific typhoon has led some to start blaming global warming, citing manmade changes to the environment as the source of such a powerful storm. 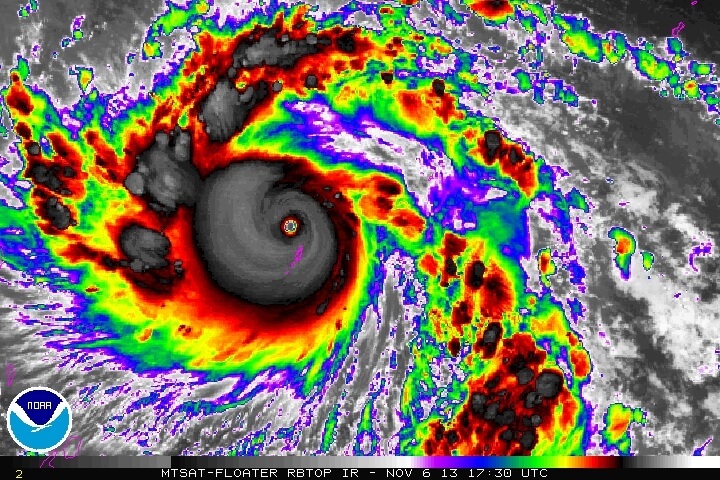 Experts state that that there may be a clear link between Haiyan and a warming world. Warmer climates often lead to more extreme weather and “natural” disasters. If global warming is to blame for the increase of severe natural disasters in the modern day world than it’s safe to say that we’re paying for it — figuratively and literally. The U.S. has endured 25 extreme weather events since 2011 that each caused more than $1 billion in damages. It can be difficult to contribute when our wallets are tight, but it’s safe to say that Typhoon Haiyan has hit home for a lot of us. Why? We attended classes today. Some of us went to work as per our usual routine and we still have the opportunity to talk to our loved ones. And that's why college students everywhere are coming together and donating the money that might have gone towards their daily latte towards relief efforts. Companies like Facebook have made it easier than ever to donate, and students are leading the charge towards sending aid to their Filipino counterparts who aren't going to be able to attend school for a while. We take a lot for granted, but during this month of giving and saying thanks, this disaster makes things pretty clear. We have a lot to be grateful for.